Chicago, Illinois is many things. It is the City with Broad Shoulders … or Windy City … or Second City … or Chicagoland. Call it what you will, but we call it one of our favorite cities to ship either to or from a vehicle. What a hub of auto shipping activity! Just marvelous. Chicago used to be the “second city” in terms of population behind New York, but then Los Angeles clipped it and pushed it to third in the country. There are nearly 10 million people in the greater Chicago area and it is ranked 7th as a World City. If Atlanta is the capital of the South, then surely Chicago is the capital of the Midwest. It has the busiest airport in the world (O’hare), hosts over 50 million visitors annually and has an intricate transportation system of railroads, ships and highways. Chicago is more than just an economic powerhouse and home to scores of major corporations across a wide spectrum of industries, including finance, manufacturing, technology, media, telecommunications and more. It also is a cultural center with a long history of churning out great actors, musicians – especially blues and jazz, and comedians. The comedy club ensemble, The Second City, produced John Belushi, Dan Ackroyd, Bill Murray, Alan Alda, Joan Rivers, Gilda Radner, Mike Myers, Stephen Colbert and Tina Fey, among many others. Oprah Winfrey hosted her nationally acclaimed talk show from Chicago. The list goes on and on. Chicago got its name from Native American� shikaakwa, which means wild garlic. The French explorer Robert de LaSalle picked up on it and turned that word into “Checagou” about 1679. It was roughly 100 years later before a non native settled in Chicago, when Jean Baptiste Point du Sable did it and became known as the founder. Interesting that a place isn’t really found until a European does it. Our Native American brothers and sisters might rightly argue they “found Chicago” several hundred years before that. Regardless, du Sable was a mix of African and French European descent. Chicago was on the outskirts of the American frontier for much of early American history. Not until the mid 19th Century did Chicago really bloom. And boy did it ever. Chicago quickly became an economic powerhouse and prospered incredibly during the Industrial Revolution. It has never looked back. Chicago is a big-time sports town. Two MLB teams, the Cubs (Ernie Banks) and the White Sox (Joe Jackson). The NHL Blackhawks (Bobby Hull). The NFL Bears (Gale Sayers, Walter Payton). 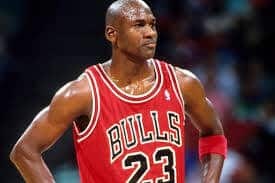 The NBA Bulls (Michael Jordan). Those are but a few stars that have thrilled Chicago sports fans over the past century. A fella graduated from Harvard Law School and instead of joining the big New York law firms, or Chicago firms for that matter, instead decided to use his talents as a community organizer in the black neighborhoods of Chicago. How altruistic of him. He did well enough but decided he could do more as an Illinois state legislator and got elected to that. Why stop there when the United States Senate is even more effective at bringing change to hard-working and suffering poor Americans, and he got elected to that too. As a US Senator from Illinois folks took a liking to him because he is a powerful speaker and all-round good guy, and so much so that he took a leap of faith and ran for President of the United States. Do you think a poor boy from Kansas raised by a single white mother and the son of a black Kenyan father could become president? Chances are slim to none – right? But guess what? He won. In America anything is possible. Who was that Chicago guy? His name is Barack Obama. Chicago has a long rich history in politics and national events: Al Capone’s St. Valentine’s Day Massacre. The Chicago Fire. Mayor Richard J. Daley’s Chicago Machine. The 1968 Chicago Democratic Convention and Chicago Seven. The Dempsey-Tunney Fight and the long count. The Sears Tower. The Black Sox. The 1919 Race Riots. The Haymarket Incident. The Chicago Tribune “Dewey Defeats Truman”. The Lincoln-Douglas Debates … and so much more! What really matters most, however, is how all those millions of Chicagoans are going to get their cars shipped? Yes let’s put all that other stuff aside and get to the heart of the matter. If you can’t get to the Chicago Loop, then get in your car and drive. Chicago is laid out beautifully for our auto transport services. Approaching from the east are Interstates I-90 and I-80 entering from Indiana; and I-94 swooping in from Michigan. I-94 loops straight up through downtown Chicago and keeps going straight up to Wisconsin. Meanwhile I-80 fakes going to Chicago and passes by on the south side and keeps going westward to Iowa. I-90 heads to downtown Chicago and then takes a left turn toward Rockford before also climbing straight up into Wisconsin. Both I-90 and I-94 will eventually veer westward once in Wisconsin. I-55 is born in Chicago and takes off southeast before plunging straight south. But wait there’s more. Chicago needs lots of help servicing 10 million people on those freeways and gets it in the form of several bypass interstates. They are I-355, I-294, I-290, and I-57 and I-88. Frankly folks you need a scorecard to keep it all straight and it’s easy to get confused. But our auto shipping carriers somehow get it right. Chicago is a favorite city for our original Direct Express car shipping quote calculator. Try it here today on this page.